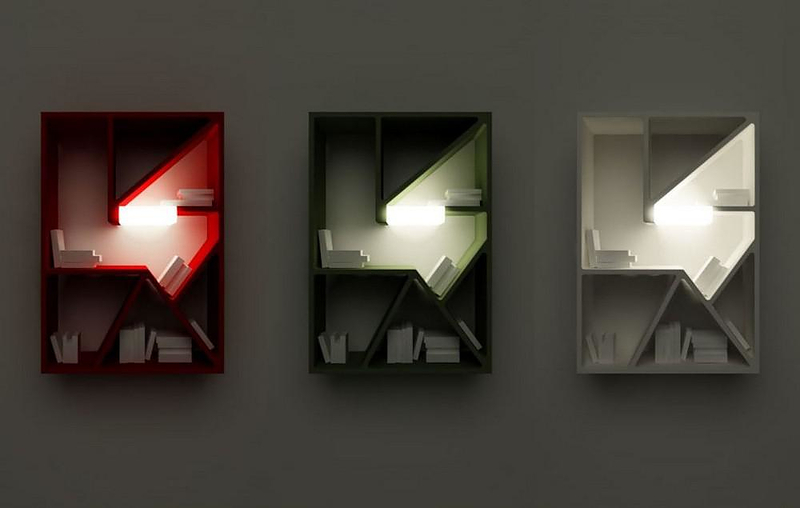 HomeBlogHome DecorGraffititek Bookshelf with Incorporated lighting. 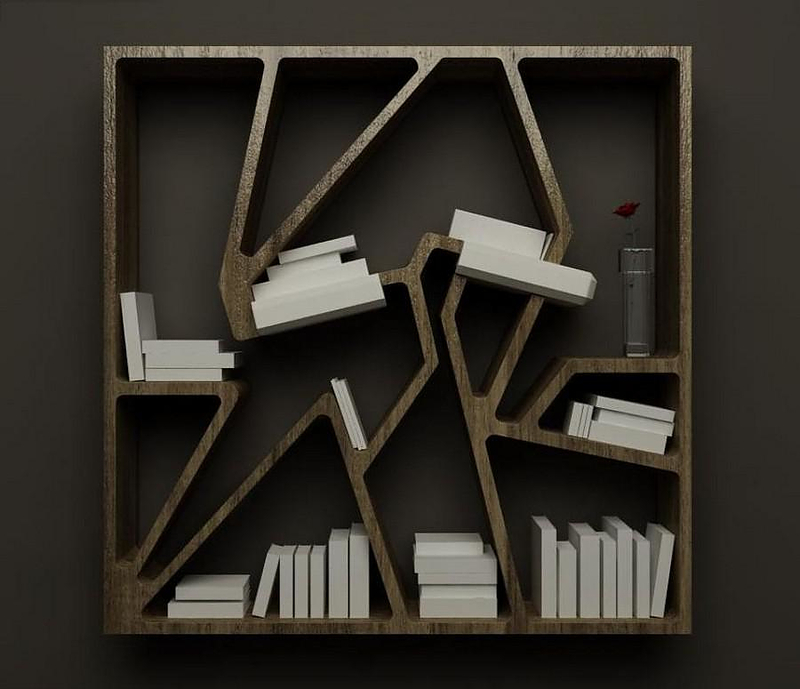 Graffititek bookshelf is a project by French designer Charles Kalpakian who was inspired by the urban graffiti that decorates the streets of Paris. 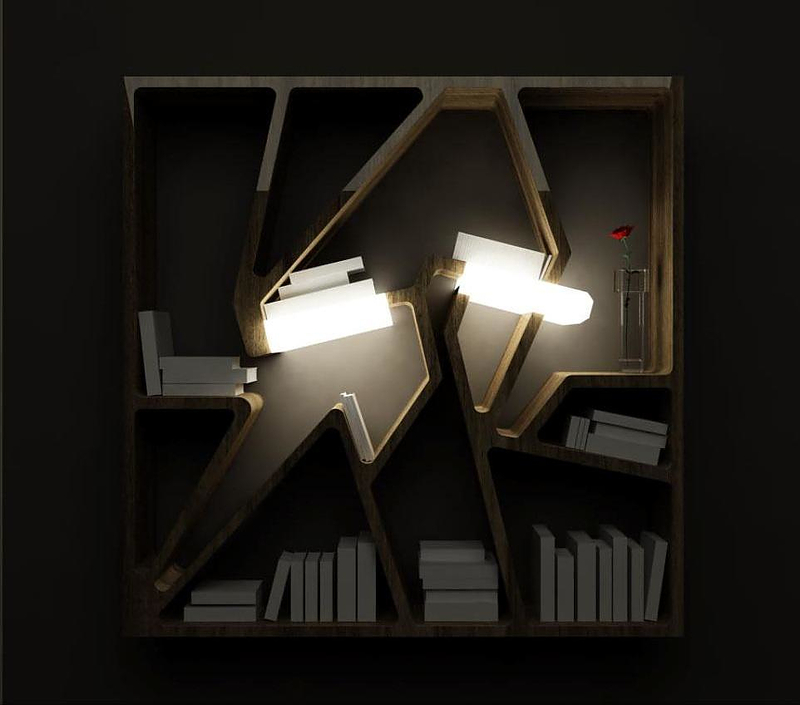 Contrasting the typical horizontal lines of classic bookcases, the Graffititek bookshelf stores your books in a non-typical, unorderly way that combines order and chaos. 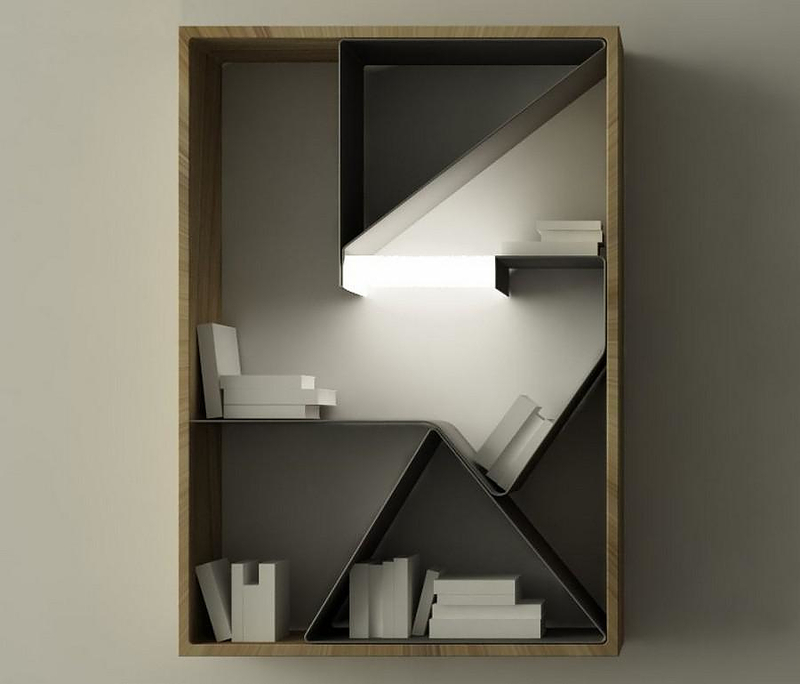 Even though the books seem randomly placed on the shelves, the segments of the bookcase allow the classification of books in categories. 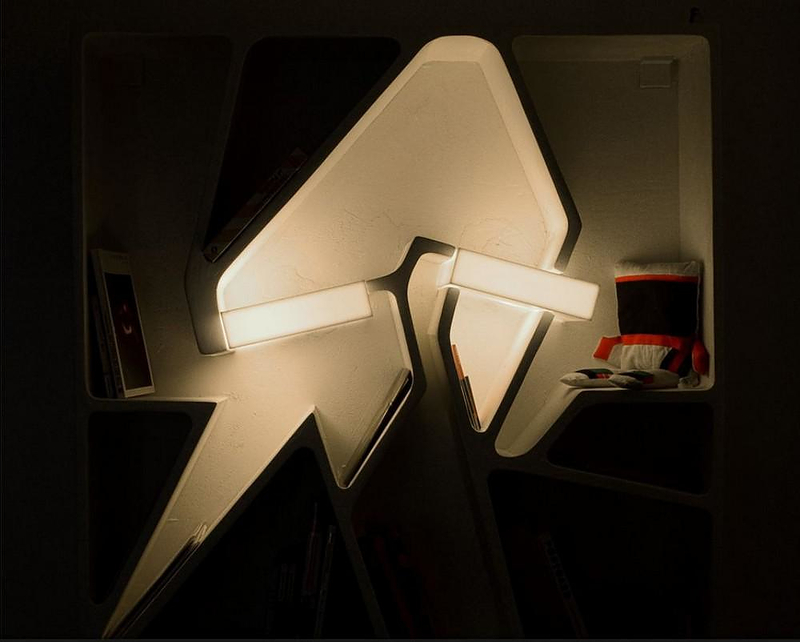 The striking feature of the Graffititek bookcase is the incorporated lighting blocks that look like luminous books, giving out a soft atmospheric lighting. 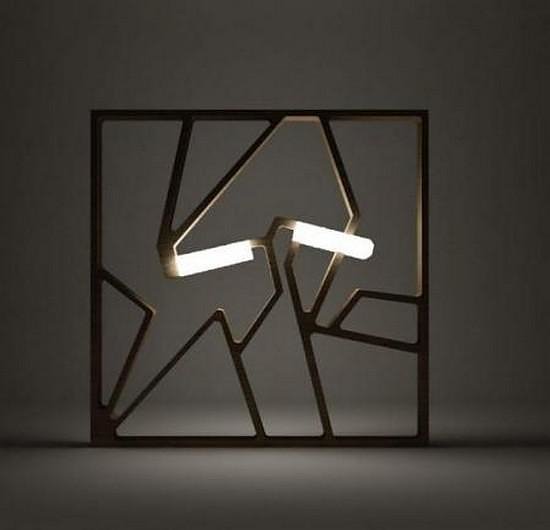 The Graffititek is a flexible storage solution with a decorative character due to the lighting feature and its graphic asymmetry. 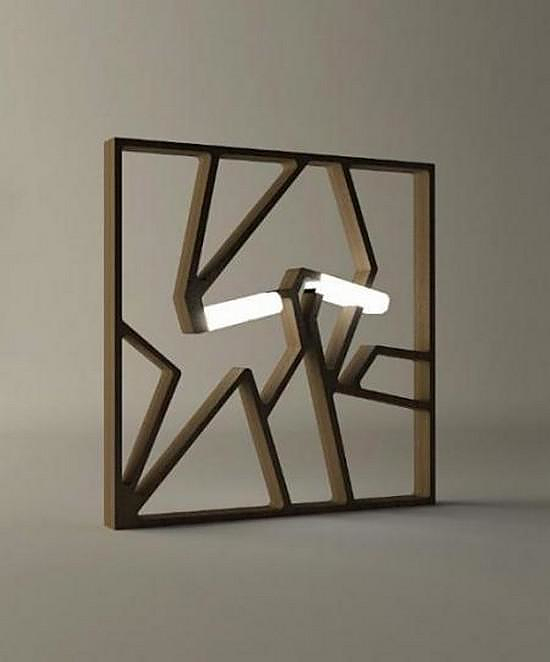 Kalpakian has created two versions for the shelves. The original Graffititek and the Graffititek 2 with metal shelves. 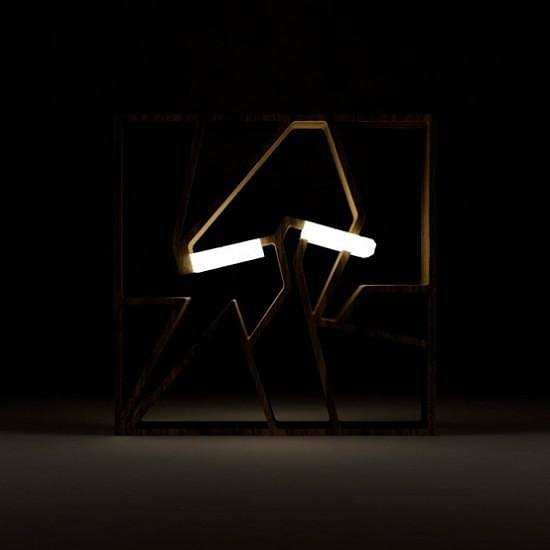 Unfortunately Graffititek are not in production yet, but considering the talent Kalpakian shows and the popularity of his projects on the internet, we are expecting it will be available soon. 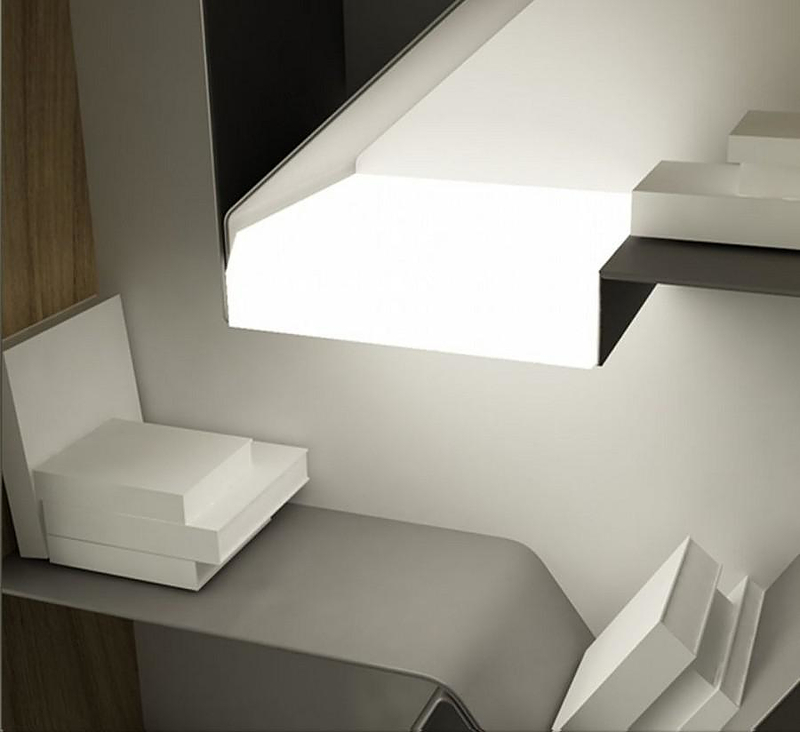 SUM Shelves by Peter Marigold for SCP. 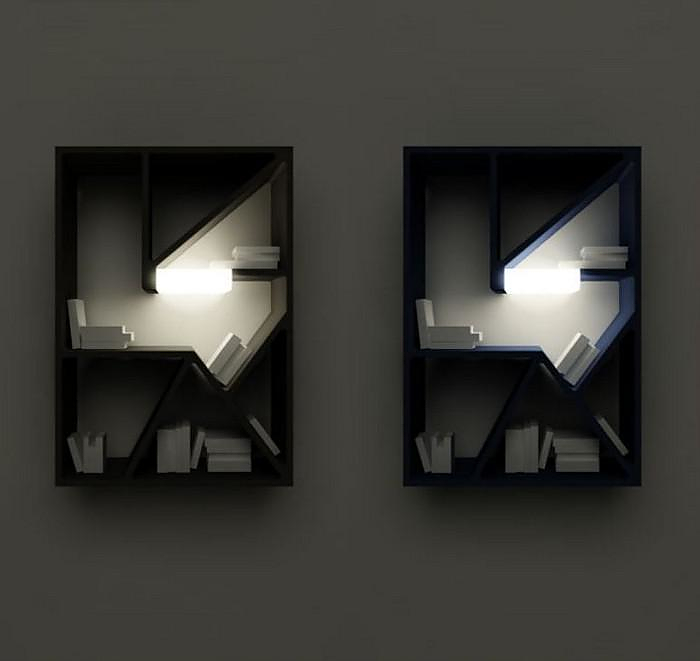 Galaga Minimal Bookcase by Miniforms.